WAIKAPU — When Pacific Biodiesel’s first crop of sunflowers started blooming last spring, the company didn’t expect them to go viral. 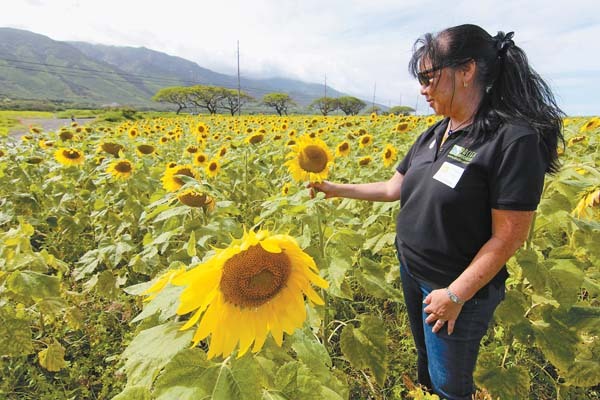 “We didn’t know that when we started farming the sunflowers that it would be a tourist attraction, but it has become that,” Marketing Director Joy Galatro said during the company’s Earth Day celebration Sunday. 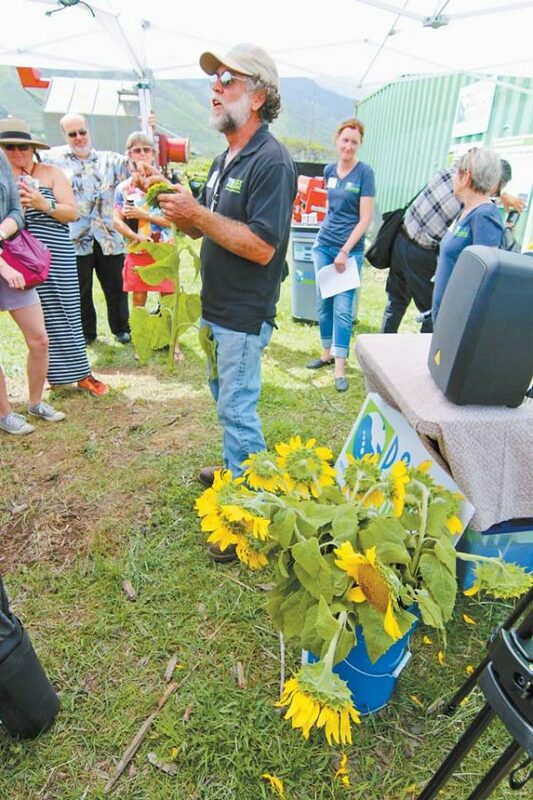 Not only have the sunflowers delighted droves of selfie-snapping visitors, but they’ve also allowed Pacific Biodiesel to start a conversation with the community about the versatility of the sunflowers — and what future agriculture could look like on Maui. Starting May 1, Pacific Biodiesel will start allowing tours on its property, which the company hopes will help “stave off some of the trespassing” into the sunflower fields, while also teaching people about the biodiesel operations, vice president and Maui County Council Member Kelly King said. 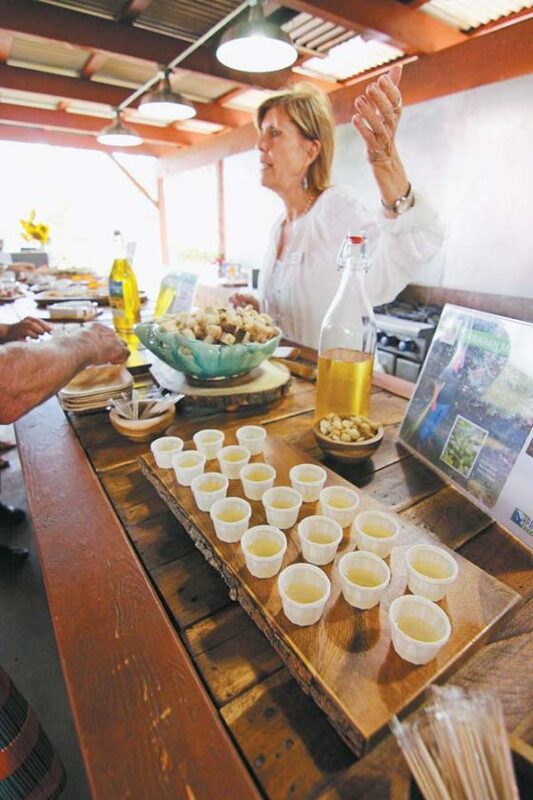 Susan Campbell, sales coordinator for the company’s Kuleana skin care products, offers customers a selection of sunflower oil products Sunday at the Maui Tropical Plantation. On Sunday, Pacific Biodiesel also launched Kuleana, its line of natural skin care products, and plans to debut its food-grade cooking oil and reef-safe sunscreen containing sunflower oil later this summer. The growth is part business and part proof — the new products will help Pacific Biodiesel continue to produce biofuel — but it also shows that sunflowers can be a sustainable resource, and that food doesn’t have to compete with fuel, King said. Pacific Biodiesel’s biode-gradable fuel is made up of plant oils, rendered animal fats and recycled cooking oil collected from restaurants and food-service operations and distilled at a Big Island refinery. Twenty-three years after the company began on Maui, “we’re still fighting some of the old prejudices,” King said. Some of the distrust stems from the early days of biodiesel, when people would filter used cooking oil and call it biodiesel. They’d put it in their engines, “and it would work for a few months until it gummed everything up,” King said. Others have been wary of biofuels because of concerns over using potential food crops for fuel. “For Maui, we need crops that can be both,” King said. Pacific Biodiesel owner and President Bob King talks about growing sunflowers during a farm tour with customers and the media Sunday. Now, King thinks people are catching on, and the sunflowers have helped. The first crop was planted in February 2017, two months after Hawaiian Commercial & Sugar Co. shut down operations for good. King thinks the sunflowers helped symbolize what Maui could do in the wake of sugar. Growing a crop that pairs food, fuel and technology has also attracted a new generation, King said. She said the employees of Pacific Biodiesel’s farming division are mostly under the age of 40. In June, Pacific Biodiesel harvested its first 14-acre crop. The company generated about 1,330 gallons of sunflower oil from the harvest, most of which went into making cosmetic-grade oils and food-grade cooking oil. The rest went to biodiesel. Owner and President Bob King said the company will likely harvest about 20 acres in the next three to four weeks, and more than 100 acres total over the next four months. The body oils produced from the harvest are a blend of sunflower, macadamia nut and coconut oils. They’re now available to the public at several locations including Alive & Well, Mana Health Foods and Maui Tropical Plantation. The Kuleana skin care product line is made by Maiden Hawaii Naturals, a subsidiary of Pacific Biodiesel Technologies. Galatro said about a dozen spas — from hotels like the Andaz Maui in Wailea to independent spas like the Wailea Healing Center — have been using the company’s sunflower oil in spa treatments. 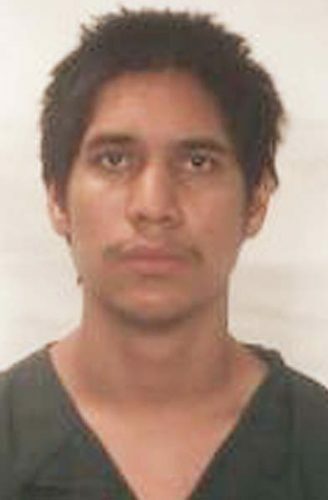 Details on the upcoming tours, meanwhile, will be posted on the website of Travel Plaza Transportation (tptours.com), said Operations Manager Robert Johnson. The tours will be part of the company’s “Maui Made Fresh Tours,” a package visit to other farms around the island. On Sunday, customers and media took the first official tour on biodiesel-fueled buses. For residents or community groups who don’t want to purchase a package tour, Galatro said the company also occasionally does educational tours.